Have you ever thought that a Chinese girl and a Czech guy could join their hands and make a delicious šaltibarščiai? And what about a french girl making tinginys? 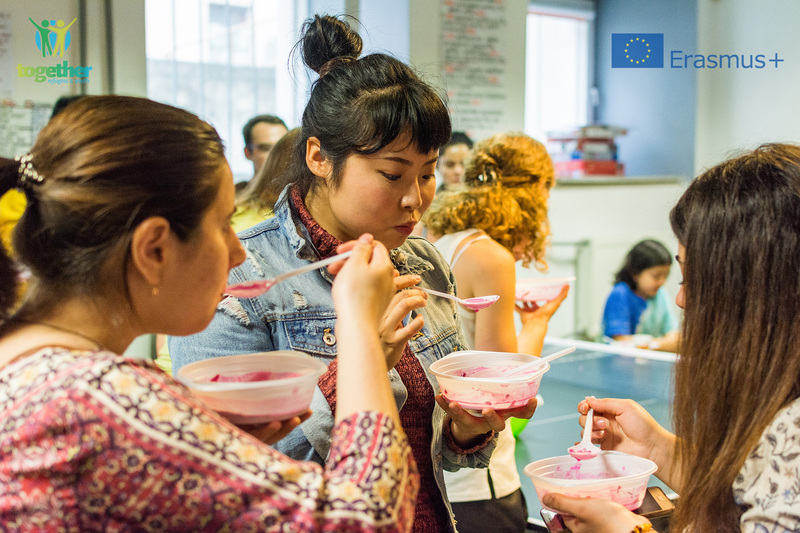 On June 25th a Lithuanian traditional cooking workshop took place in Atviras jaunimo centras „MES“ bringing foreigners closer to Lithuanian cuisine. Take 30 people from all over the world, 2 lithuanian traditional dishes, a cup of curiosity, a pinch of willingness, mix them together et voilà: you'll have the recipe for a successful event! Participants put them to the test in cooking (and tasting) the traditional cold pink soup šaltibarščiai. The colour of the soup was unsual for most of them, but they didn't regret tasting it. "It's strange, but it's delicious!" But everybody was waiting for the dessert! Tinginys had a great success and was literally scarfed down. Do you want to stay updated for upcoming events? Click here!